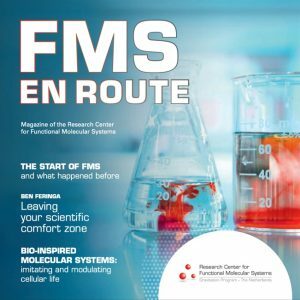 The PROGRAM of the FMS Annual Meeting is now available. Download the program here. Taking in consideration that most of the FMS members will attend CHAINS in Veldhoven and seen the great success of last year, for convenience we have decided to hold the second FMS Annual Meeting again the Sunday preceding CHAINS and in the same location (Veldhoven). Download here the program of the FMS Annual Meeting 2015. Buses 15 (direction Veldhoven Koningshof) and 150 (direction Reusel via Eersel Dorp) depart from Eindhoven Central Station to the NH Conference Center Koningshof (bus stop Koningshof Veldhoven). On Sunday buses leave approximately every 20-30 minutes. The registration to the FMS Annual Meeting is now closed. There is a maximum of 150 seats available. They are assigned on first come, first served basis. FMS faculty and FMS postdocs and PhD students, are highly encouraged to attend and will have priority on the registration. Important: Please note that the FMS Annual Meeting (29 November) and CHAINS (30 November to 2 December) are two completely different events and are organized by different organizations. Therefore you need to register separately for each of them. If you are interested in attending CHAINS as well, please register on their website. To cancel your registration please send en email to info@fmsresearch.nl before 15 November 2015.